Conrad Hotels is an international brand of luxury hotels owned and operated by Hilton so if you are a Hilton Honors member you will enjoy all the benefits these hotels offer. 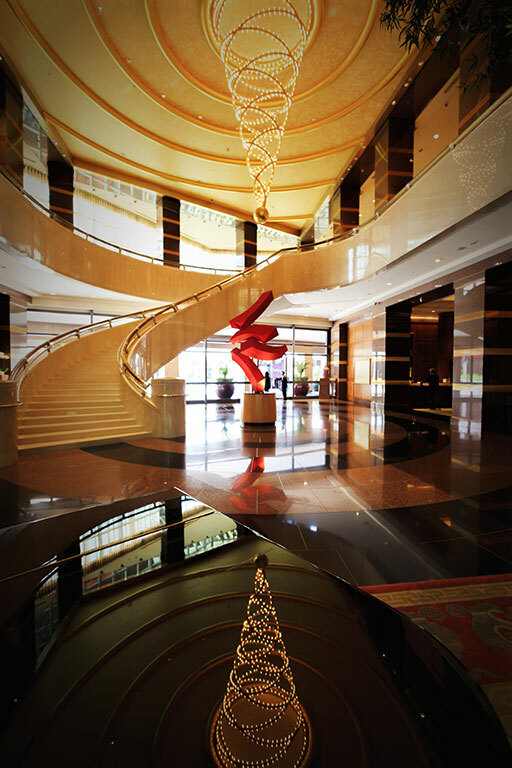 The Conrad Centennial Singapore is located within business and shopping districts of Marina Bay, minutes from Marina Sands. Besides the good location, the service is impressive and the room they gave me in the 27th floor had the best view I've ever seen. Definitely one of the best hotels in Singapore. When I booked my flight to Singapore I was just looking for a nice city to visit in Asia. As soon as I arrived I realized that it wasn't any city, it was an amazing one with an incredible modern architecture. The Conrad Hotel where I was staying was three blocks from where I took this photo, so after doing the check-in I grabbed my camera and I headed towards the bay area when the corcierge in the lobby told me that it was impossible to reach the Marina Bay because the streets were closed due to the Formula 1 race track. To make the story short, I waited 3 days when the race was over to be able to walk to this spot, next to the Helix Bridge (on the left), of course during the race days I was able to visit other point of interest in the city. 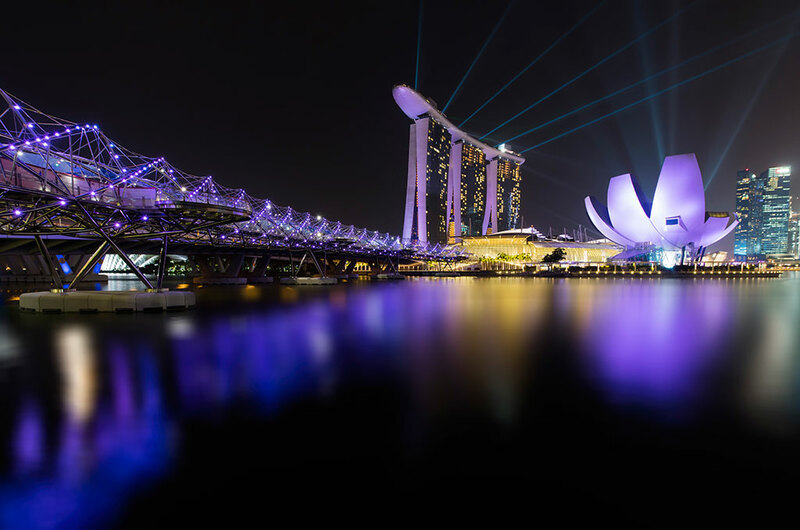 The light and laser show from the Marina Bay Sands hotel is something spectacular, impossible to show in a photo, for 15 minutes you can witness a stunning showpiece of visual effects by the waterfront. In this photo you can see the Helix Bridge on the left, the Marina Bay Sands hotel with the Shoppes in the center and the ArtScience Museum on the right.